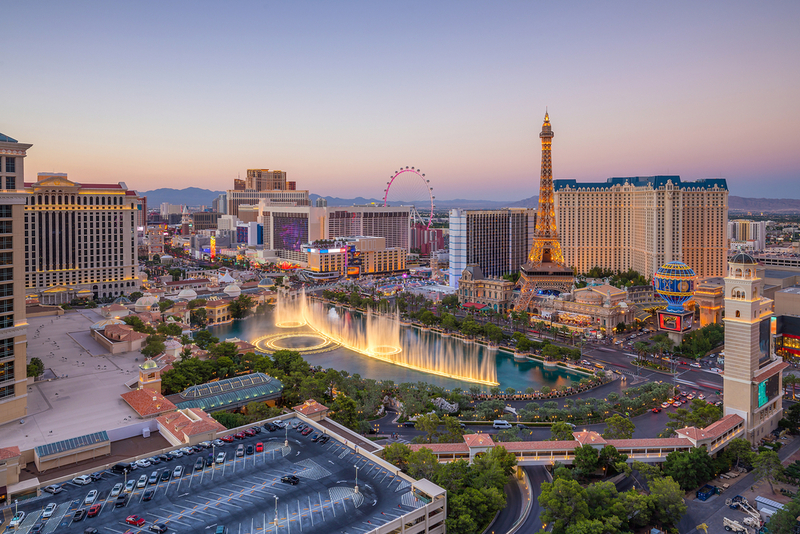 If you’re craving a holiday with some card-playing action, why not go all in on a trip to the World Series of Poker in Las Vegas? You can enjoy the warmth of the desert sun as you sip frosty drinks by the pool, and you can take your skills to the tables to play for some serious cash. Live concerts, world-class nightclubs, slot machines and table games – WSOP 2017 is the ultimate Las Vegas poker vacation. The 48th Annual World Series of Poker features 49 straight days of events with options for casual or serious players. You can take your seat at a table with a buy-in as low as $75. Daily Deepstacks kick off the show running from May 30th until July 18th – the full duration of the tournament. You can ante up in these one-day Hold’em events for a $235 buy-in. The wildly popular Colossus events get underway on the tournament’s opening weekend. For a $565 buy-in, you can play your cards for a piece of the guaranteed $8M prize pool. The WSOP 2016 Colossus event drew 21,613 entries and paid out $10,806,500.00, well above the $7M guaranteed prize pool. The World Championship Main Event runs for 10 days starting July 8th and closes the tournament. Three starting flights over three days launch the event, and by July 17th, the field is down to the top nine players. The reigning World Champion, Qui Nguyen, earned the title and the $8M purse in the WSOP 2016 Main Event. The tournament includes Tag Team, High Roller, Millionaire Maker and Crazy Eights events, as well as special games for the ladies and casino employees. Check the official WSOP 2017 schedule for full events listings. To be eligible to play according to Nevada law, you have to be at least 21 years old on the day of the event. Expect to back that up with appropriate photo ID. Typically, a valid US or foreign passport or government-issued driver’s license does the trick. Non-US residents are required to show secondary ID with the current residential address. If you’re 50 or older, you might consider the Seniors Event. If your age is north of 65, you may want to battle it out with your peers in the Super Seniors Event. There are two ways to get in the game. If you’re in Las Vegas, go to the Rio All-Suite Hotel and Casino and register in person. If you’re not in Vegas, register online. Preregistration guarantees your place in your chosen event. While attending the tournament, you can sign up at the last minute for any event that strikes your fancy, as long as the limited capacity has not been met. For must-play events, preregistration is the way to go. With 49 consecutive days of poker-playing opportunities, you may want to spend a little time away from the tables. If you’re looking for entertainment, Las Vegas casinos have got you covered. Strap in and take a sky-high ride between the Rio’s two towers on the Voodoo Zipline. For nightlife, celebrity sighting, and a spectacular view of the Vegas strip, check out the rooftop Voodoo Lounge on the Rio’s 51st floor. The Venetian Hotel gives you a taste of Venice without the trip to Italy. Walk the halls under gilded, Sistine-Chapel-like ceilings, or glide along the Grand Canal with a singing gondolier at the helm. From the statue of David to the Garden of the Gods pool oasis, Caesars Palace makes you feel like the guest of a Roman emperor. Headline entertainers at the Colosseum include Celine Dion, Jerry Seinfeld, and Reba, Brooks & Dunn. For designer shopping, the Forum Shops are a must. If you choose to slow the pace, a daytrip to the Grand Canyon is an unforgettable experience. Choose a tour by bus, helicopter or raft, and explore the beauty of this natural wonder of the world. If you want to be right in on the poker action, but a working holiday is your idea of fun, you can apply online to work the tournament as a dealer. Or if you love the game but your poker skills are lacking, you can enjoy the events free of charge as a spectator. WSOP 2017 has something for everyone.